Sometimes it's helpful to get back to the basics. This simple primer video will make you ask, "So how's my Output/Input ratio these days?" (Hint: the bigger the value, the better) There are many complex methods and practices to achieve this, but that's what it boils down to. Global Systems Group wants to help mattress manufacturers make more products with less effort. That way, you make more profit, and that way - well - that way, you make more profit! That's a simple concept too! Manual tape-edging is hard work. 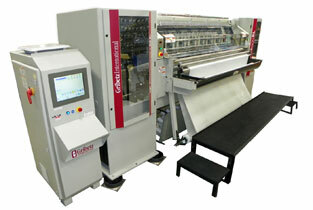 Automated tape-edging with a Mattress Master Optima machine is simple work. 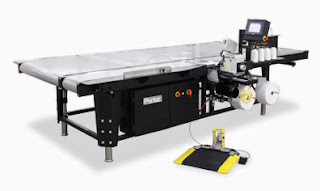 It automatically moves the heavy bed for the operator and built in features ensure good finish quality. 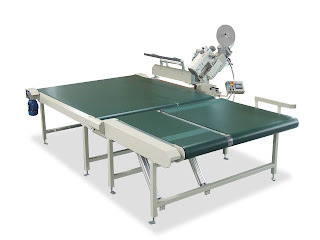 The EST-501 simplifies the crucial task of serging/flanging mattress quilt panels. The belts are synchronized with the sewing speed of the sew-head and they automatically turn the mattress for clean cornering. A de-skilled operation and comfortable work station can make any operator more productive in a short time. Here's a simple machine to greatly increase your productivity. This new Gribetz Paragon SL quilter is designed for the mattress producer that makes a huge capacity of "channel quilted" beds - that is simply straight line sewing with no Tack and Jump patterns or side-to-side movements. Sewing at 1750 RPM, it's the fastest mattress quilter ever! Sometimes in manufacturing businesses we overthink things. It's refreshing to make a simple analysis of our productivity, and GSG has some simple solutions to help you do it better. It's simple - contact GSG as soon as you can to improve your Output/Input ratio.